I’m at that point in life (and I’m sure many of you are too) where everyone is getting married and having babies. Meanwhile I’m just over here like…oh hello new career, pour me a drink! So at this stage when you don’t have a ring on your own finger but many of your friends and family are getting wifed up, what’s a girl to get as a wedding gift? No fear, Zola can help! Zola is reinventing the wedding planning and registry experience with a free suite of wedding planning tools including wedding websites, a checklist, guest list and registry. I’m always on the fence about what to get, how much to spend, or if I should just throw some cash in a card and write a sappy note. 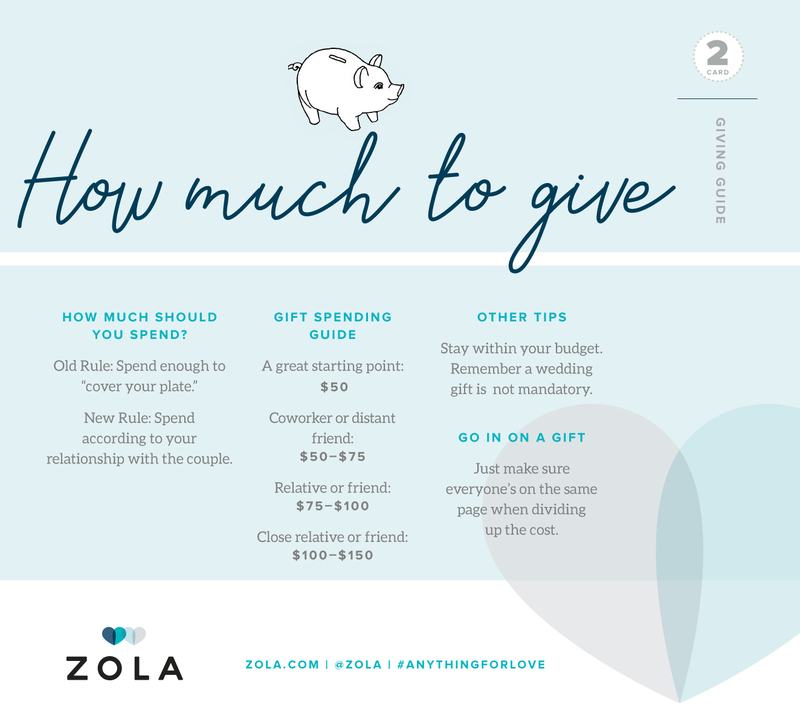 These wedding gift tips from Zola can hopefully answer some of your questions, as they have answered mine. Stick to the registry or get something else? What to give if you’re in the wedding party? How much cash is appropriate? Happy wedding gift shopping! 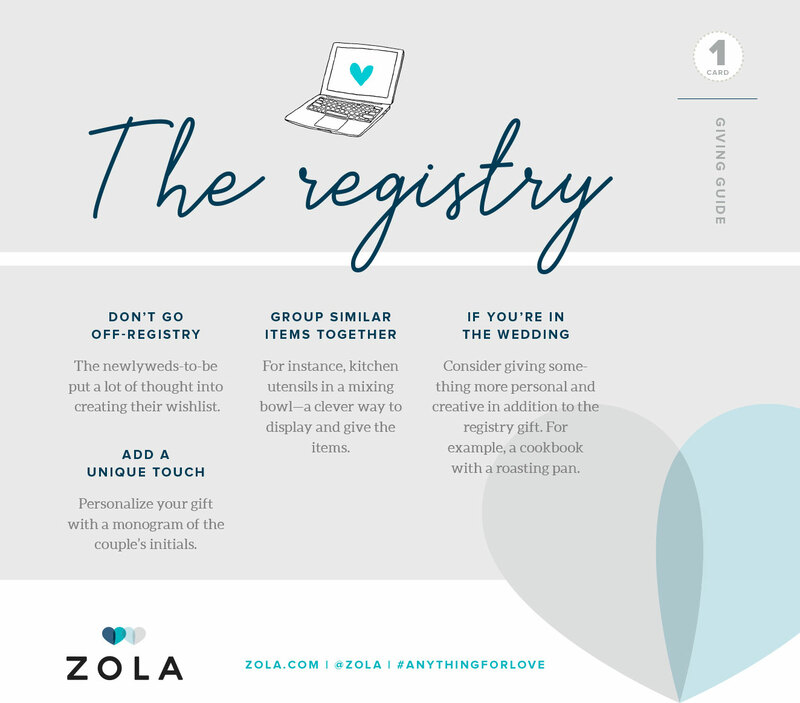 And if you’re planning a wedding, be sure to check out Zola as an awesome wedding registry option!